Imogen's Typewriter. 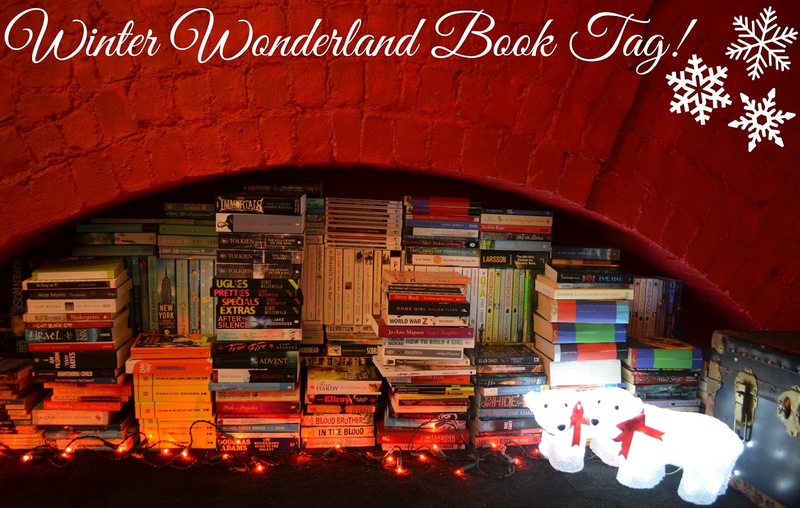 : Fiction Friday: Winter Wonderland Book Tag! Admittedly I had no idea what do to for today's Fiction Friday, mainly because my plan of reviewing Harry Potter and the Chamber of Secrets with my friend who is a Harry Potter Virgin ran into problems when I made her watch the first episode of Lost and got her hooked enough that we haven't been reading together. My bad! Anyway while scouring for ideas I was watching old YouTube videos and found a tag that Priscilla from The Readables did last year, you can watch it here! And here are my answers! This would have to be Three Men in a Boat by Jerome K Jerome. I was thinking about Harry Potter and the Philosophers Stone and thinking about how it was actually kind of dark when the quote; "But then again, everything has it's drawbacks as the man said when his mother-in-law died, and they came down on him for the funeral expenses," came to mind and reminded me that Three Men in a Bot has no dark side and truly just makes me happy. World War Z by Max Barry. Not exactly festive but this is my favourite book with a white cover and actually one of my favourite books ever. I normally read it in Summer though. 3. You're sitting in a nice comfy chair, wearing a onesie, with a lovely warm hot chocolate but what MONSTER are you reading? Honestly I haven't read many monsters this year, I attempted Game of Thrones but had to put it down a couple hundred pages in. The Final Empire by Brandon Sanderson is on my Christmas TBR so I'll say that one! I'd love some monster book recommendations, I tend to shy away from them! 4. It started snowing so you decided to have a snowball fight! What fictional character would you love to have a snowball fight with? Hmm. I'd have to say Scout from To Kill A Mockingbird, she'd be amazing in a snowball fight. Either Endgame by James Frey and Nils Johnson-Shelton or Season to Taste by Natalie Young. I really didn't like either of those books so I'll sacrifice them to the flames. Reminds me of that scene from The Day After Tomorrow where they burn the books in the library. 6. What book is so close to your heart that you would gift it to someone this Christmas who hasn't read before but wants to get into reading? Okay, I'm going cliché here but Harry Potter. It's a great series for people who want to get into read but- apart from my friend- who hasn't read it these days? I tag everyone! Seriously, I want to see everyones answers. Please link me if you do a post or answer in the comments!